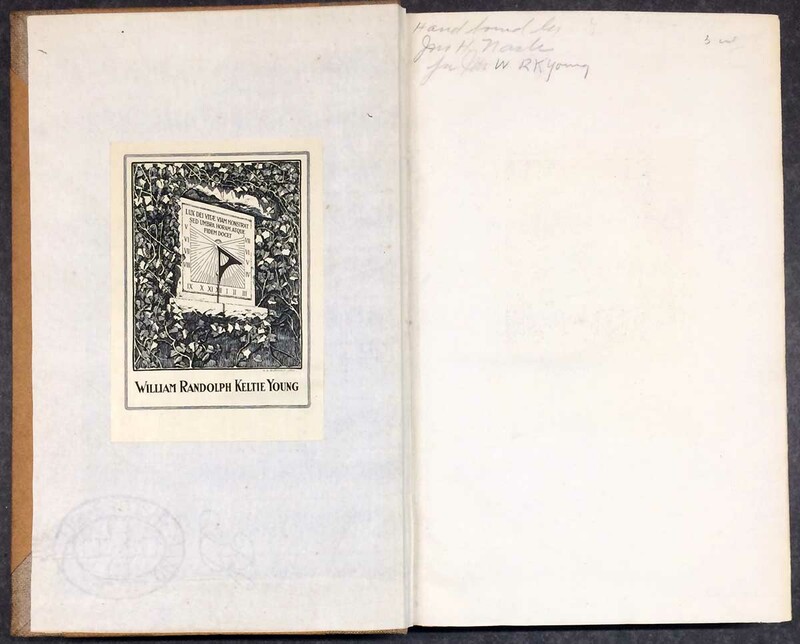 I still have a few copies of Labour Vertue Glorie, the book about George Wither's collection of emblems. I saw him this past weekend for the first time since the book was published, and he signed the remaining copies. Please check the date of this post before inquiring about availability. 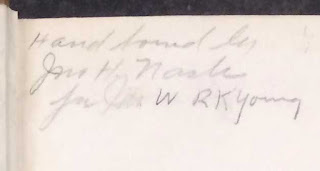 SO I was at the University of British Columbia library last month, doing some digging for the Griffo project. 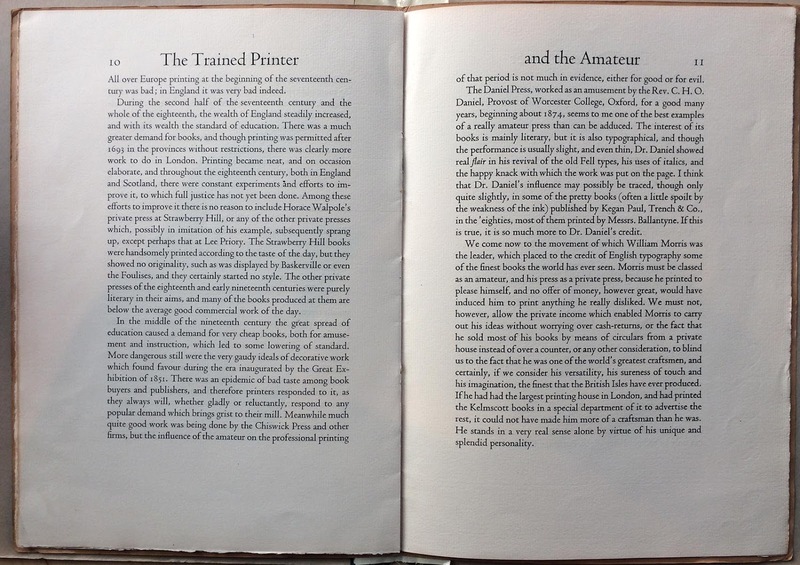 I always get distracted in the typography and history-of-the-book sections, just pulling off anything that looks interesting. 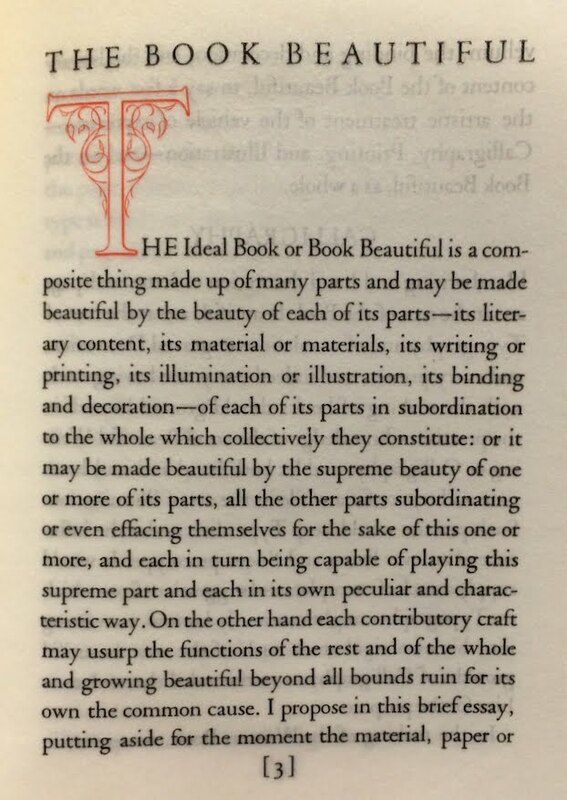 That’s how I found the Monotype pamphlet shown here, featuring an essay by none other than Alfred W. Pollard, recently featured in HM’s newest publication. First, this is a promotional pamphlet for the Centaur and Arrighi types. 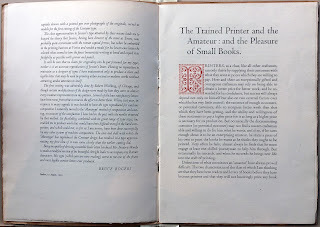 When I was designing The Kelmscott & Doves Presses, the question of type proved particularly tricky. 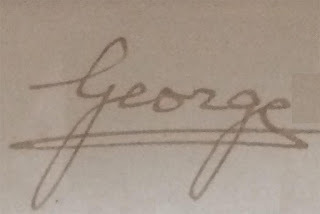 As anyone familiar with HM books probably knows, I am happy working with a small repertoire of types (& find people who raise type above all other elements of a book wrong-headed, and generally dull). 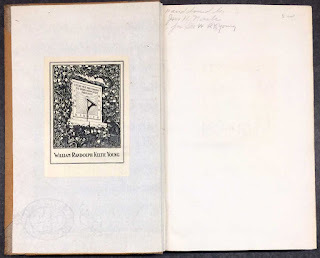 Whatever type I used for the book had to suit the two very different types on the Kelmscott and Doves leaves to be included. 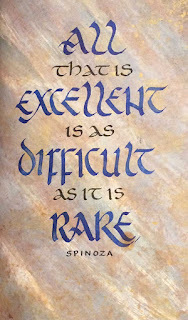 It also had to work with the calligraphy Martin Jackson and I had planned. I tried about a half-dozen different faces (including my favored Dante), in various sizes and leadings. Despite feeling that Centaur seemed an overly obvious and safe choice, it was the face to which we kept returning. Second, both the content and structure of the essay in this pamphlet are remarkably close to the one reprinted in the HM book. 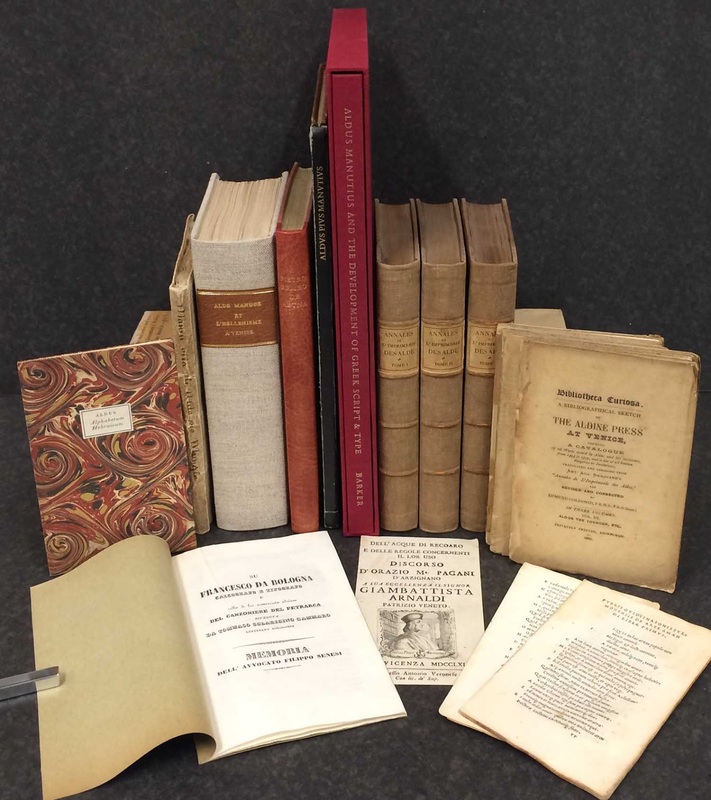 That essay was originally written for the 1921 catalogue of William Clark’s Kelmscott and Doves collections. 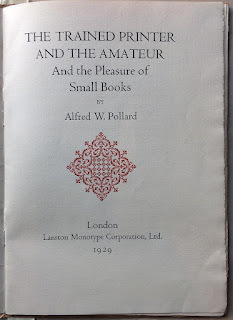 An unkind person might suggest Pollard got paid twice for same essay. I try not to be unkind. 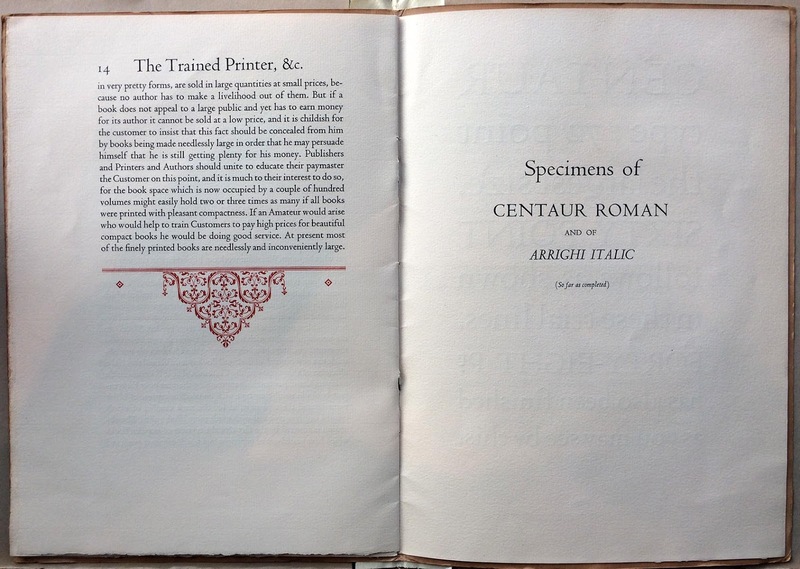 Finally, it’s interesting that his essay, however recycled it might be, was used to promote Centaur and Arrighi. Pollard must have been whispering in our ears when we were looking at the mock-ups. 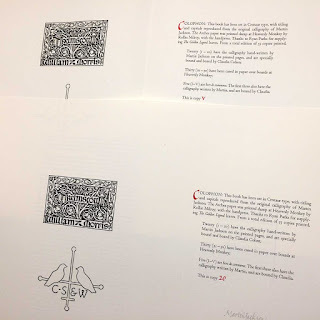 I’m almost finished casing in copies of The Kelmscott & Doves Presses. A few of the “Printed” issue will be on display with some of our booksellers at the upcoming Oakland, Pasadena and New York book fairs. Vamp & Tramp will have a special copy on display at CODEX: it contains a copy of the title page with original calligraphy by Martin Jackson, as it will appear in the “Written” copies. 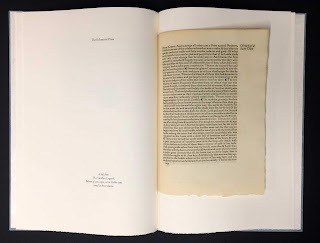 Those are currently being bound up by Claudia Cohen: quarter vellum, sewn on slips laced into boards covered with original paste paper that has been tooled in gilt. We expect the “Written” copies to be ready in April. While Claudia finishes the bindings, I will have started printing her next collaboration with Barbara Hodgson, PatternPattern. 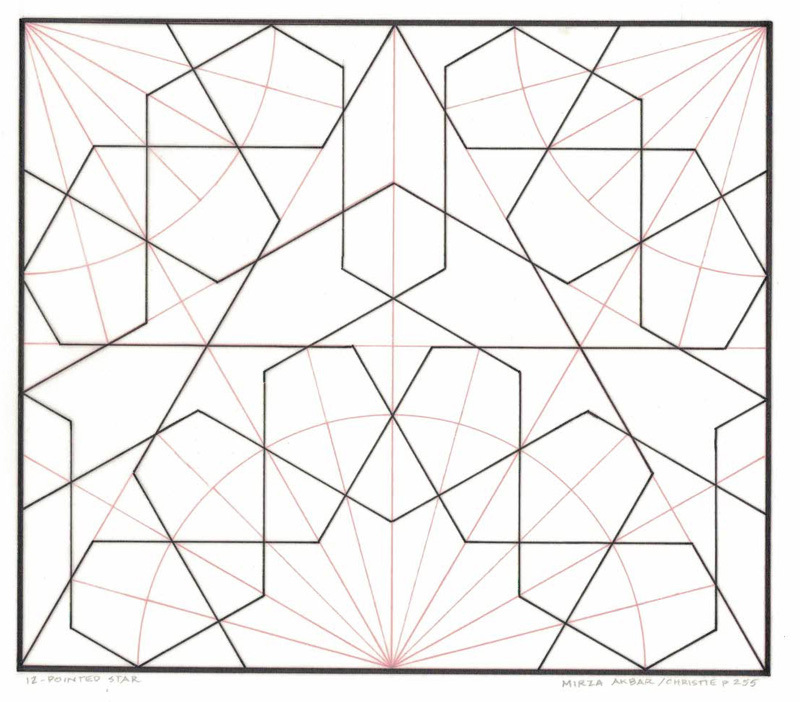 The book explores traditional and modern systems of analyzing symmetrical, decorative patterns. 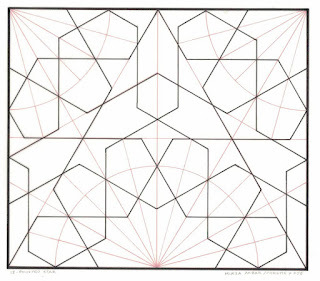 These systems — grid, proportion, tessellation, symmetry, motif, and style and culture — will each be introduced in a brief overview and accompanied by illustrations, most of them examples hand-drawn by the authors. The focus will be on design development, progression and variety, emphasizing the possibilities for infinite interpretations of basic styles. 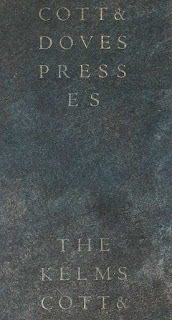 The book (9 inches square, 51 pp.) 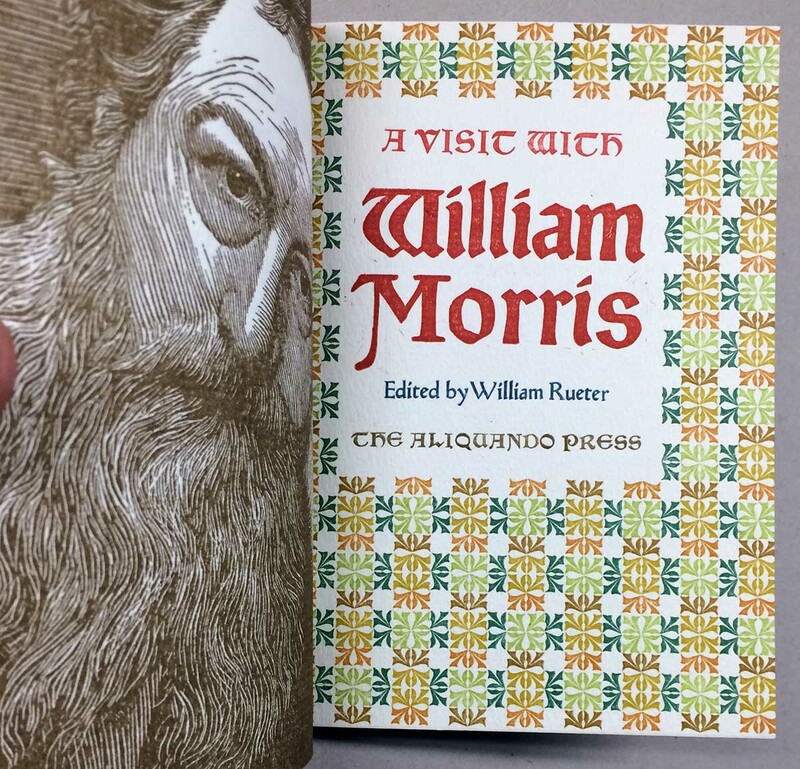 will be set in Fournier, printed with the handpress on dampened Arches paper, and issued in an edition of 30 numbered and six H.C. copies. Copies1-10 will be extra-bound and include additional samples. As usual with their books, the extensive drawing, colouring and tipping-in will take a few months after printing is completed. 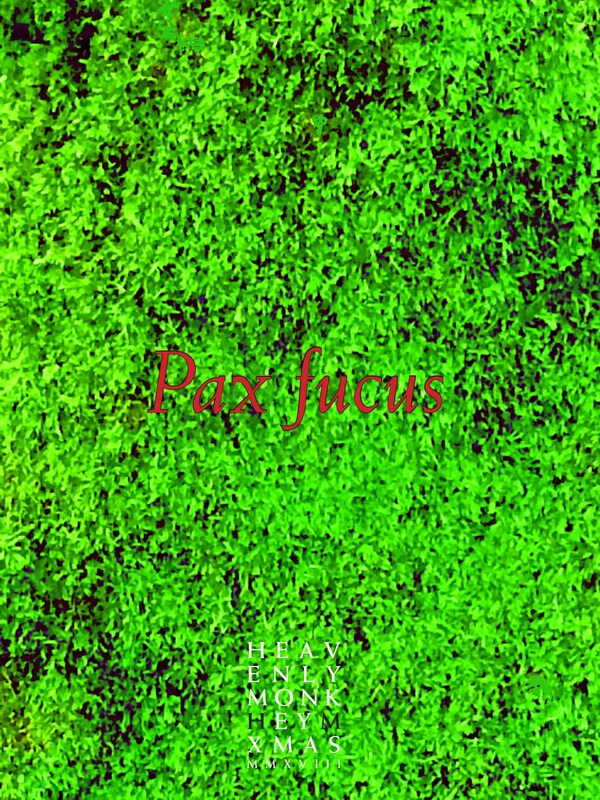 Publication is scheduled for the end of 2019. A mock-up, with 8 pages of sample text and illustrations, will be on display with Vamp & Tramp at CODEX. 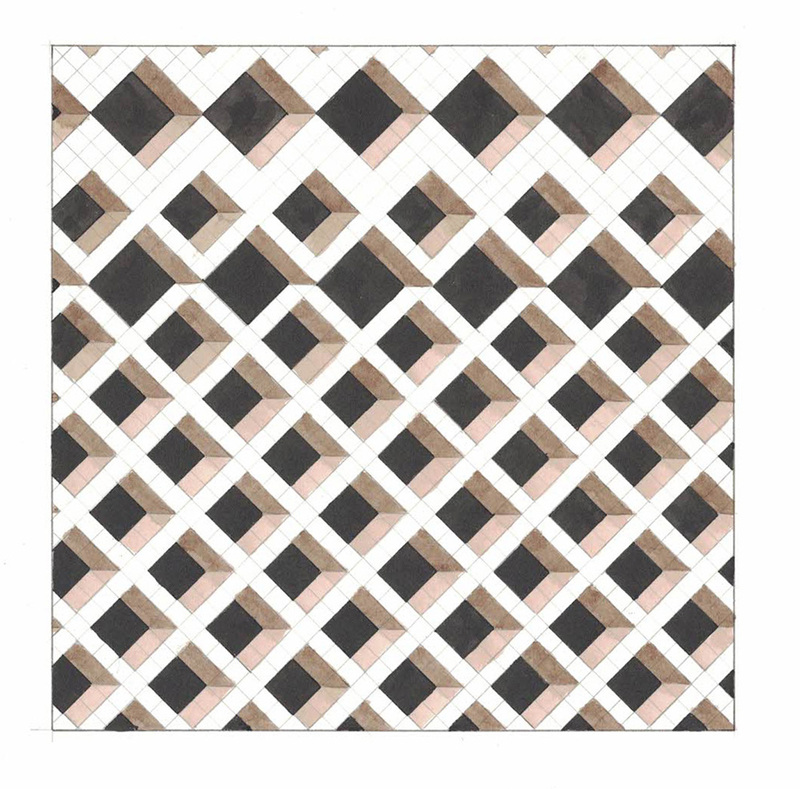 It’s fitting that I’ll be printing PatternPattern, as it will be the final publication from HM Editions. That imprint was initially conceived as an outlet for working with people who had projects I found interesting, but not the means to get them produced. When it was started there were lots of people with interesting ideas around, but I haven’t been encountering them in recent years. Barbara & Claudia haven’t actually needed my assistance in ages, so there really isn’t any reason to keep the parallel imprint going. They will continue their collaborations under their own imprint, and we’ll all still be in each other’s business. 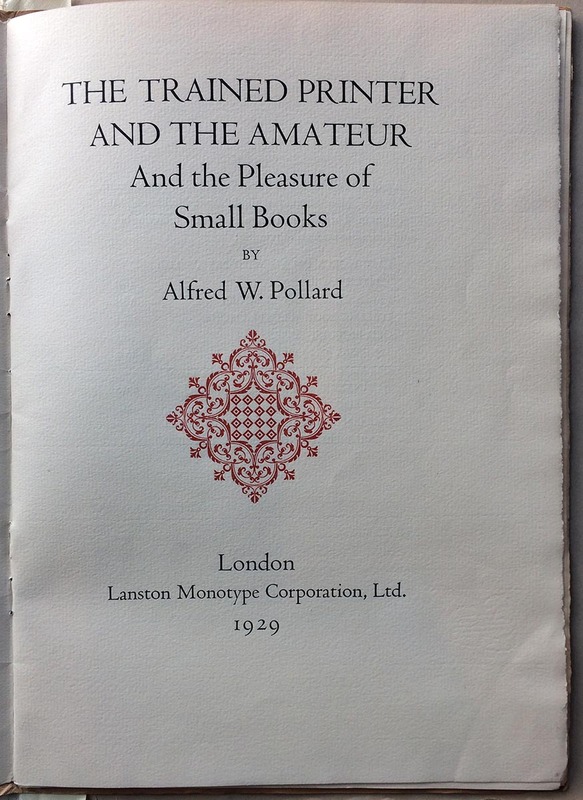 Nothing’s really changed except what appears on the title page. 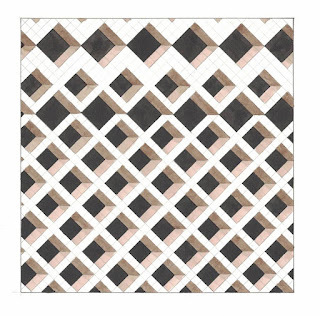 Printing PatternPattern will take about three months, during which time I’ll also be working with The Aliquando Press’s Will Rueter to prepare a collaboration of our own. 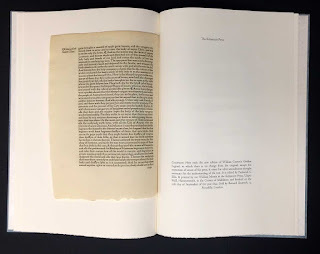 It will be the second in what I hope will be a short series of calligraphic books that began with Francesca Lohmann’s An Alphabetical Accumulation. 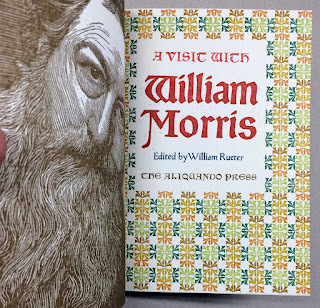 Will’s book will present a series of bookish quotations (about 15), each rendered calligraphically by him, in a variety of styles. 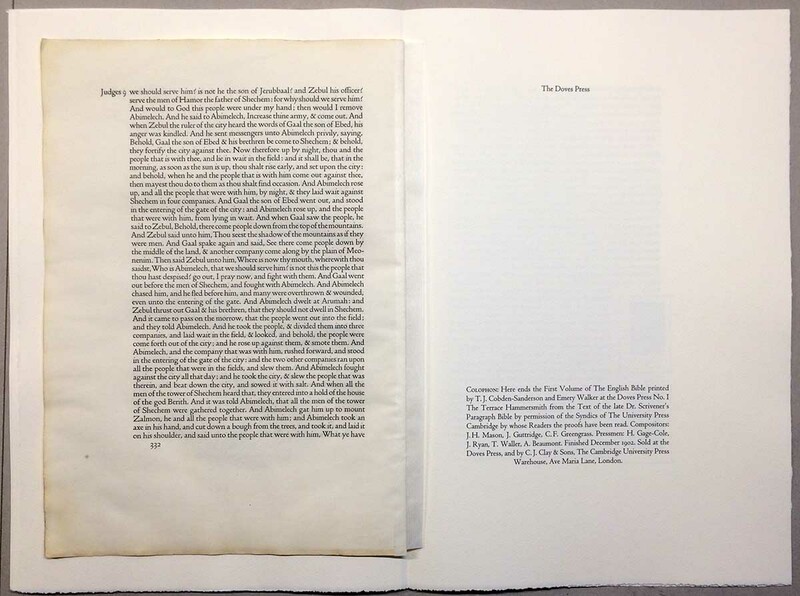 (Shown above is the piece he included in deluxe copies of Pressing Matters.) 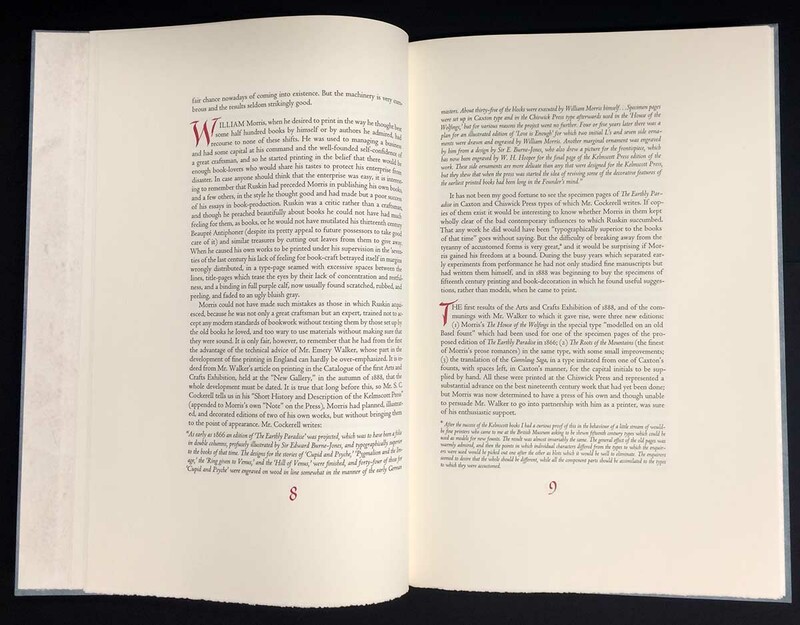 Each quote will be printed on a recto, with some elements then added by him, so every page will combine printed and original calligraphy. 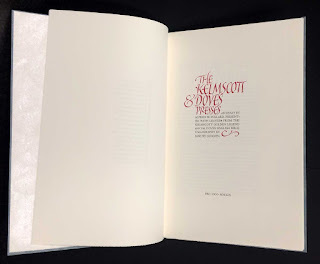 At this time I’m expecting to have the book printed by the fall; he’ll then spend a few months adding the calligraphy, and then the sheets will go to Claudia Cohen for binding. So, a spring 2020 publication? 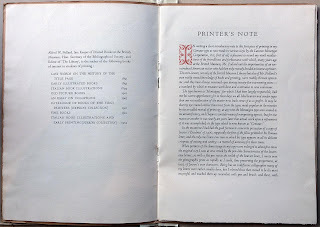 The edition will be 36 copies, uniformly bound. 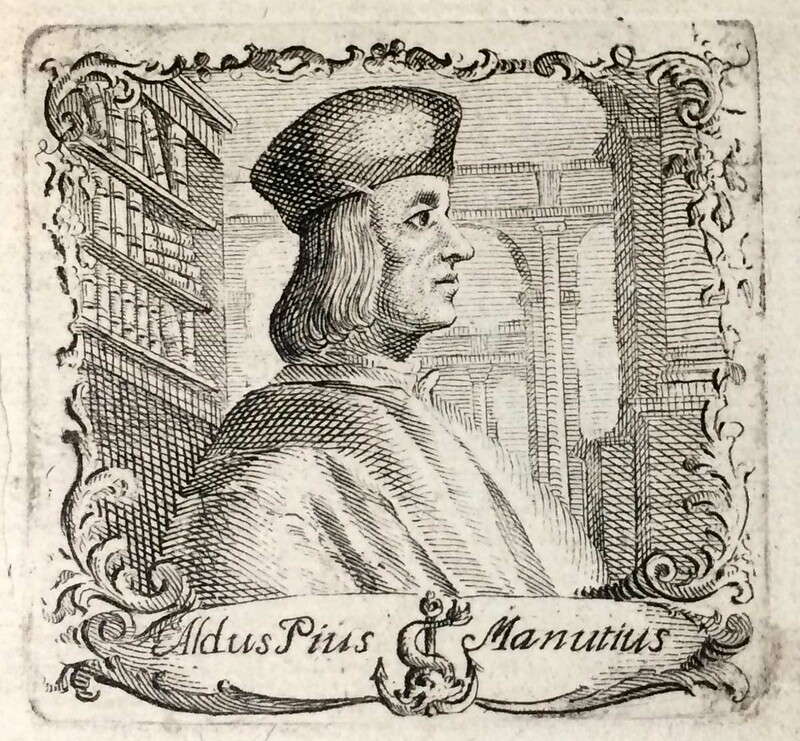 Before this year ends, I hope to begin printing the second, expanded edition of Fragments & Glimpses, the biography-in-quotations of Aldus’s typecutter, Francesco Griffo. I’ve spent the past year gathering source materials that weren’t available to me when I did the original (1998-9), which will be added to the text. I also intend to include reproductions of specific books and types referred to in the text, and I found leaves from a copy of the 1502 Ovid (Heroidum), which was set in Griffo’s original italic type, and will be including these in a special issue of the book. Publication will be some time in 2020. 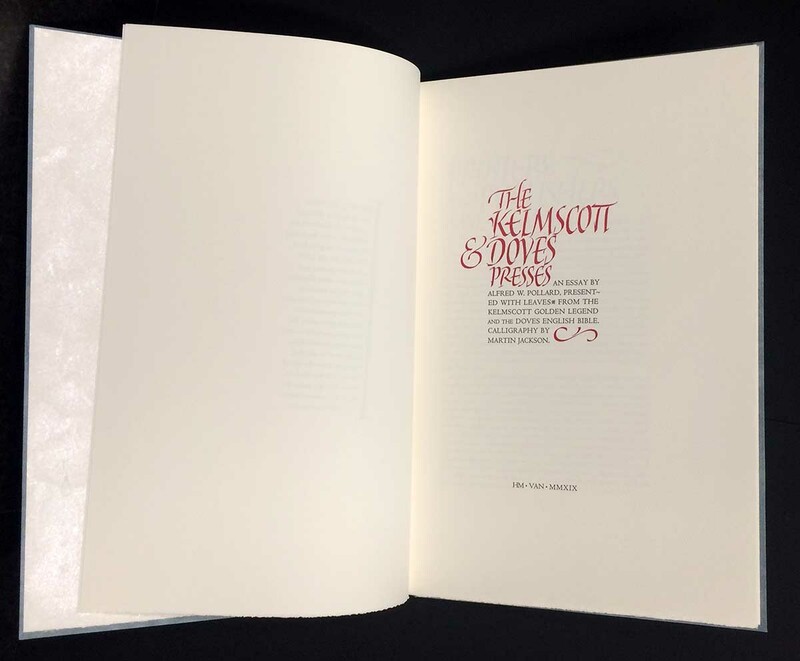 January will be spent sewing copies of The Kelmscott & Doves Presses, and putting them into cases. Much of December was spent figuring out the fussy details and painting the papers that will cover the boards. 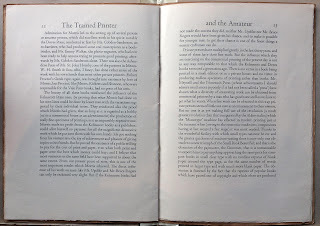 Because the book has such a large page, but is not terribly thick (it's 28 printed pages, seven folios), I was concerned that it might be bendy across the horizontal. I was also concerned that the size of the boards might make them tend to bow as they dried (a little concavity can be tolerated, but not too much, and certainly not any convexity). Too often books are bound (cased) with boards that are too thick - one should use the thinnest boards possible. To avoid the warping problem, I got thin boards and laminated two pieces together, making them more rigid. 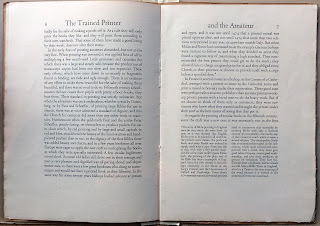 This and a well-lined spine solved the issue of bendy books. 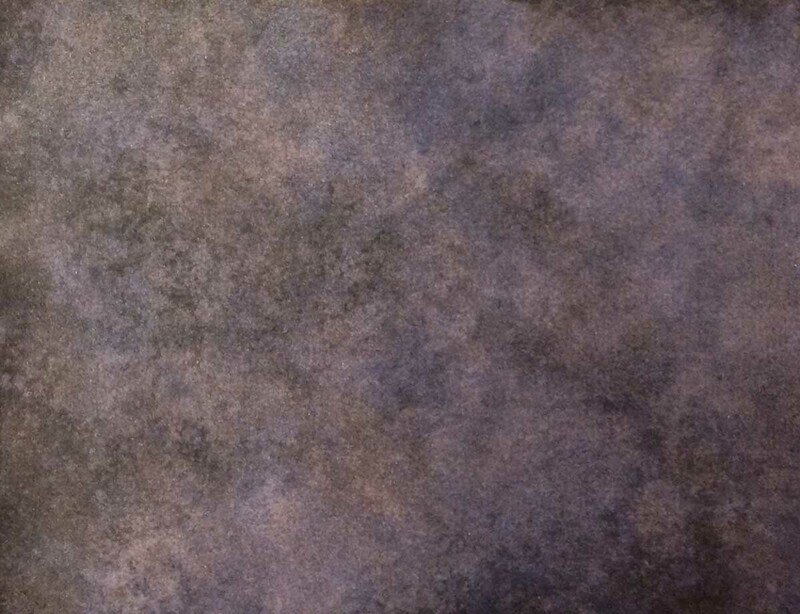 The board papers were painted with two layers of acrylic wash, black over a metallic blue base. The endpapers were stained with a diluted pearlescent white. The two sample leaves were adhered to hosho hinges and sewn in, leaving them secure and easily turned to view both sides. While I was figuring out the cases, Martin charged ahead and got all the calligraphy for the 20 "Written" copies completed. 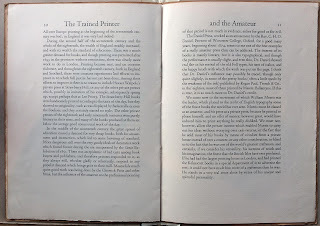 The title and opening pages are shown at the top of this post. 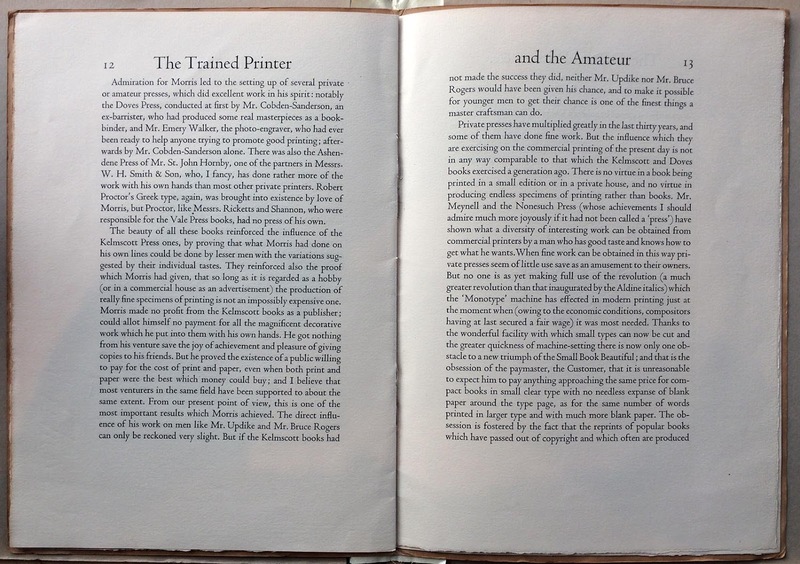 The pages he completed by hand look simultaneously exactly like the printed versions (because the lettering is the same), and entirely different (because they're written, not printed). 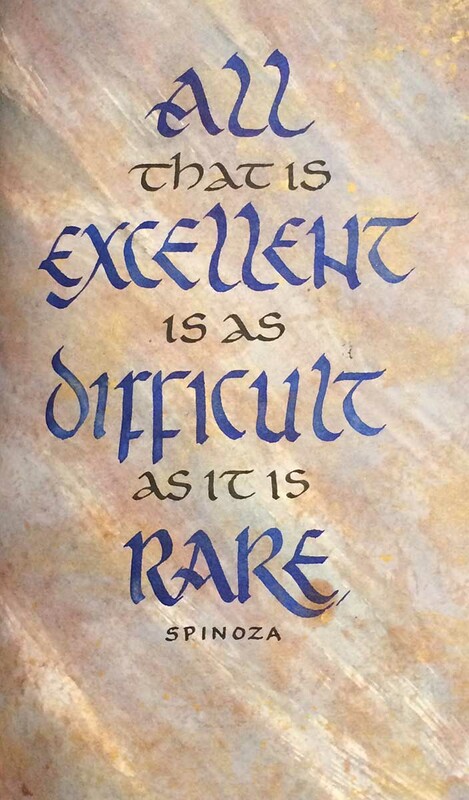 There really is nothing like having original calligraphy combined with type on the printed page. The Written copies are now with Claudia Cohen, and will be getting bound up over the next few months. 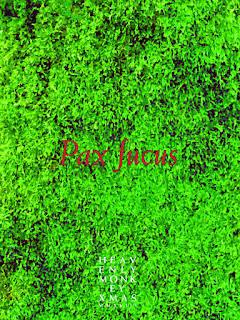 I'll be holding off issuing copies until all are ready, but a few of the "Printed" ones (i.e. cased at HM) will be on hand with booksellers at the upcoming book fairs in Pasadena, Oakland and New York. There will also be a special copy on display with Vamp & Tramp at Codex, containing a copy of the title page written out by Martin. Anyone interested in reserving a copy of the book should contact one of HM's regular booksellers listed at the top right of this blog. We were out walking around the beach yesterday, enjoying New Year's Eve. On the way back to the car we happened to walk by the home of a famous calligrapher (who shall remain nameless). He is widely known for his kindness & twinkly personality, so we were surprised to see the scroogey declaration hung along the second level. 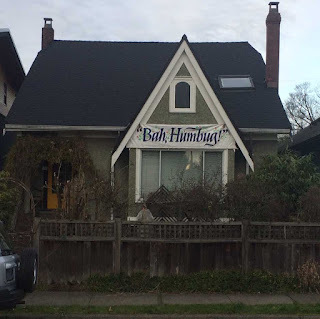 I'm sure it was done with a sense of mischief (like some of the cheeky For Sale/Sold signs that have occasionally appeared in front of homes being flipped by speculators in his neighborhood). Drone like the sound of a swarm of bees, not drone like a male bee. 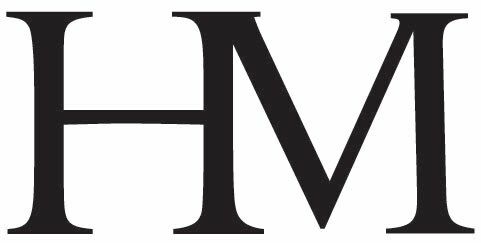 Thanks to all who have been supportive & interested in HM this past year. Happy merry. 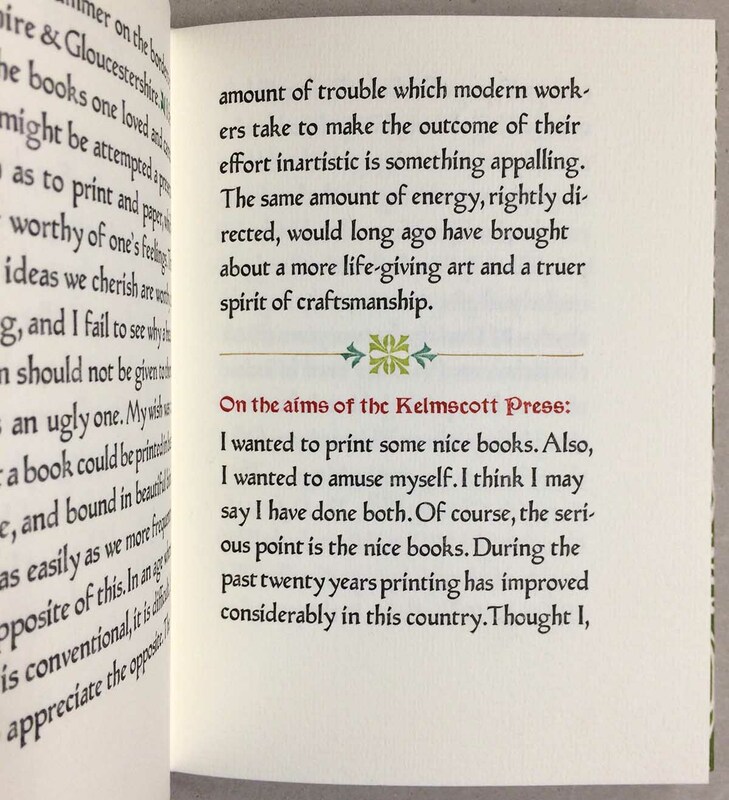 To end the Year of Wither, an update on the Kelmscott & Doves leaf book project, followed by some seasonal gift suggestions for the bibliophile in your life. Bibliophiles, if you’re lucky. If you don’t have one, much less several, feel free to purchase any of the items in this month’s post & have them shipped to HM…. Last month I spent a few hours on a rainy Sunday sorting the Kelmscott Golden Legend and Doves Bible leaves to be included in the next book. 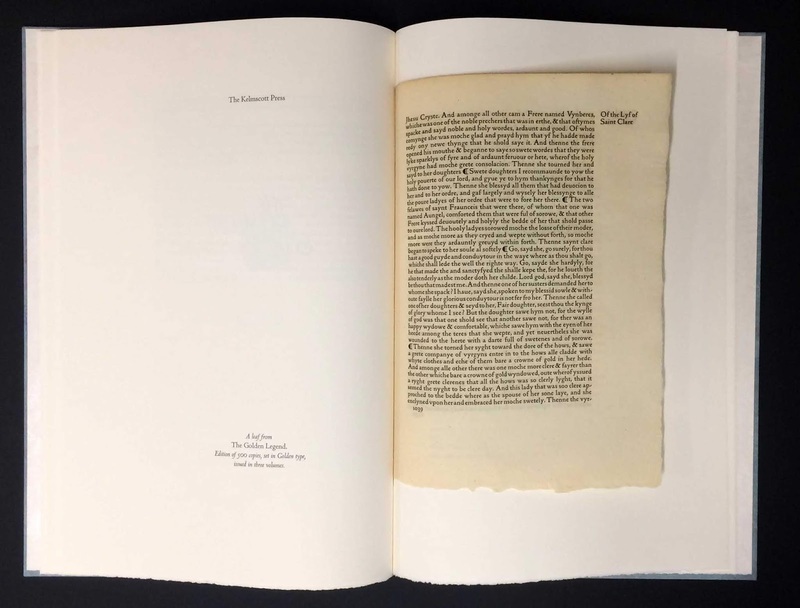 Looking at an unbound or broken book is different than flipping through a bound copy: some aspects of the printing and setting stand out in ways they wouldn’t otherwise. 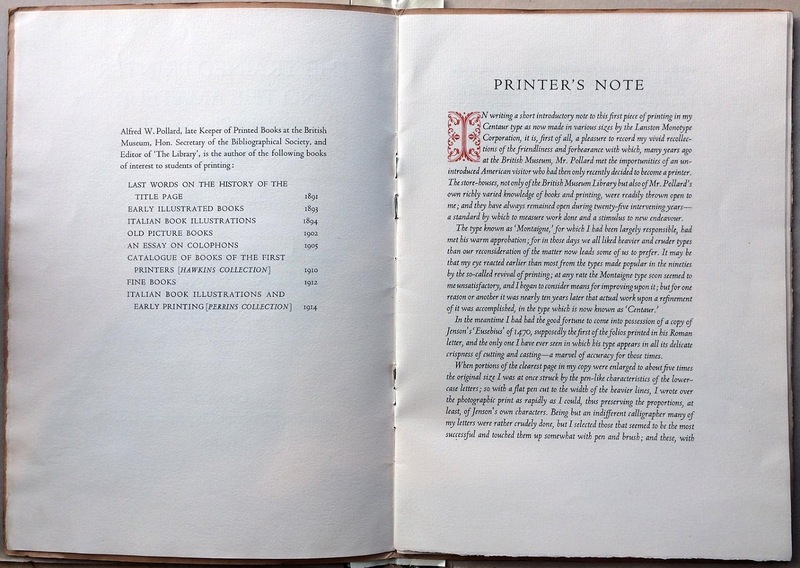 For example, the Kelmscott printing isn’t actually that great - the inking is inconsistent, tending toward too much. 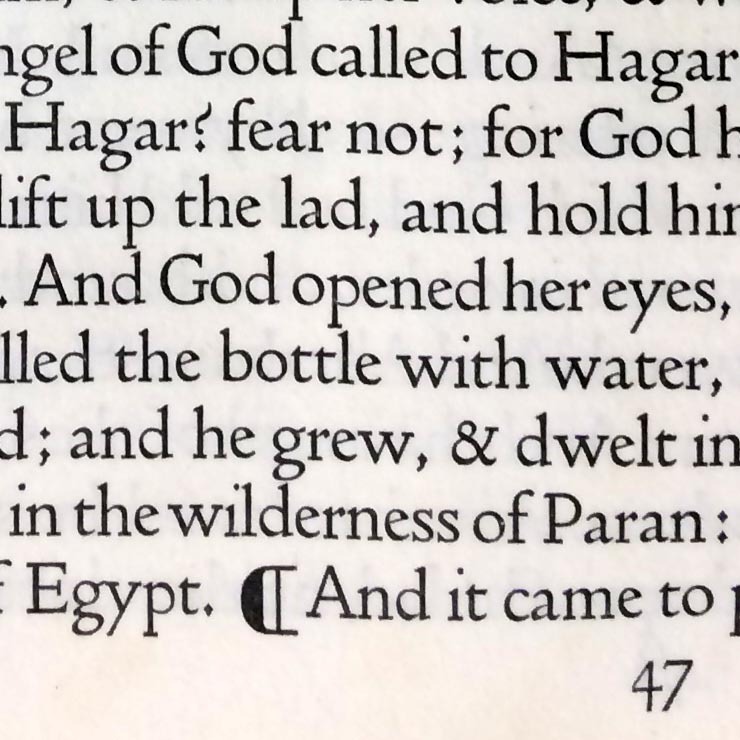 The Bible is much more consistent in its printing, but one thing that struck me is Cobden-Sanderson’s type doesn’t really suit a book the size of his Bible (large quarto). 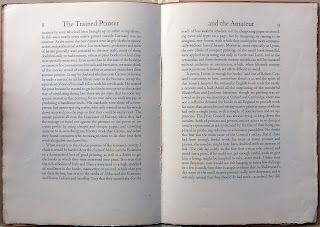 In the essay by Pollard included in the new book, he comments on the type’s readability: “…I must confess to being unable to read more than twenty or thirty pages in the Doves Press type without feeling perceptibly chilled.” The Bible pages are dense, the lines are long, and the text is already somewhat impenetrable. 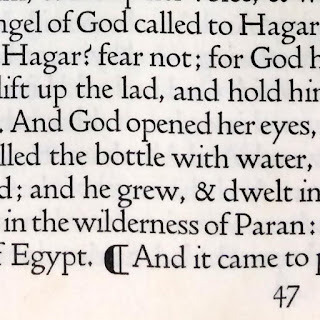 The type is perfect for the octavo format employed for most Doves books, but on a Bible page I started noticing qualities of the majuscules that looked odd. The H in particular sticks out, like a sort taken from the wrong type case. The batch of Bible leaves I found were from volume I, infamous for the unspecified “paper flaw” that resulted in so many of those copies looking like they’d been dipped in tea. Luckily none of the leaves being used for this leaf book are afflicted: they’re all lovely examples of the Doves watermarked handmade paper. Printing of the book was finished in mid-November. The 20 copies that will have all of Martin Jackson’s calligraphy actually written in are with him now. He did the colophon for the entire edition first, so I can get to work on the 30 (printed) copies that will be cased here while he’s working on the calligraphy. The image above shows (top) a sheet with the initial letter printed with (below) one added by Martin, both of them editioned by him. 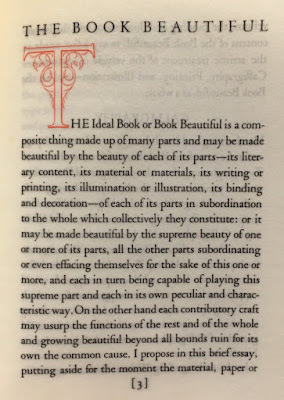 Claudia and I are still discussing design ideas for the copies (with Martin’s calligraphy) that she’ll bind. 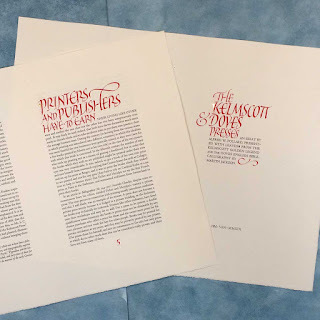 A printed copy of the book, along with one page of Martin’s original calligraphy (probably the title page) will be on display with Vamp & Tramp at Codex, next February. With luck Claudia could have her copies completed by March, so we’re on track for an early 2019 issue. 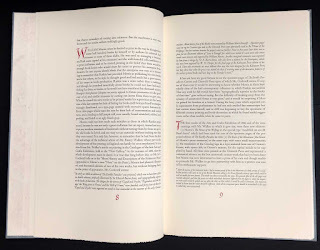 The edition of 40 copies (41 pp, approximately 12mo in size) was set in Jim Rimmer’s Nephi Medieval and Tell Text 5 (a copy of the Chaucer type), printed throughout in colour - the title page in seven colors. 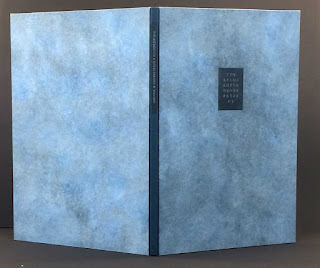 The four signatures are sewn on tapes and laced into a limp “saddle back” binding, covered in chiyogami paper, with a paper slipcase. 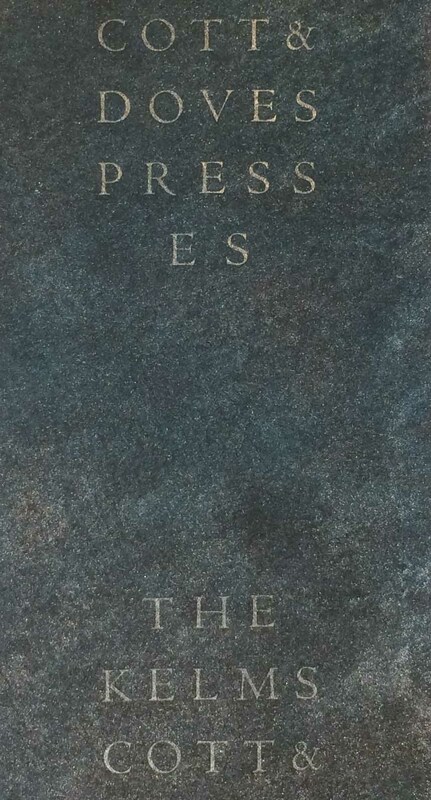 An exuberant example of The Aliquando Press’s distinctive style in every way, and a bargain at C$150. To order contact Will directly (dovecotte@cogeco.ca). COBDEN-SANDERSON, Thomas James (1840-1922). 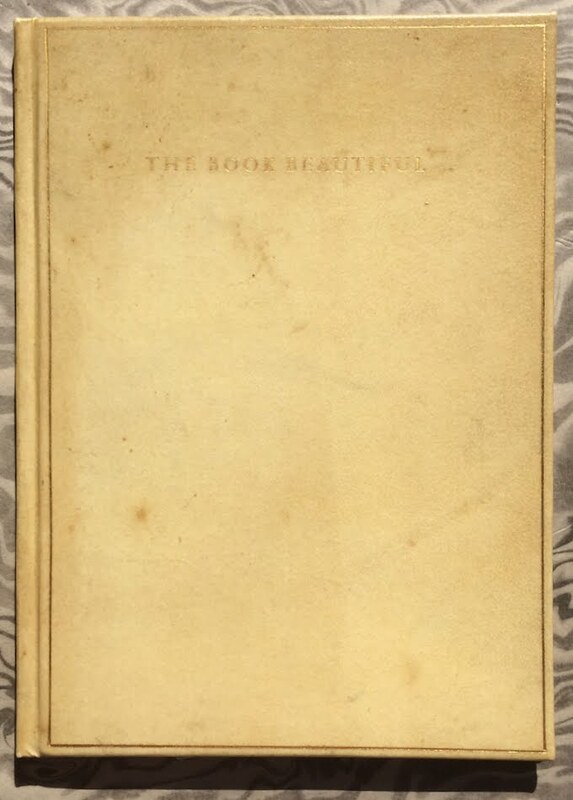 The Book Beautiful. 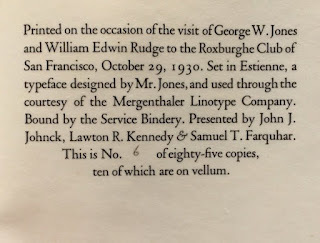 [San Francisco: Printed by John J. Johnck, Lawton R Kennedy, Samuel T. Farquhar for the Roxburghe Club, 1930. 8vo. 7 3/4 x 5 1/2 inches. 14 pp. 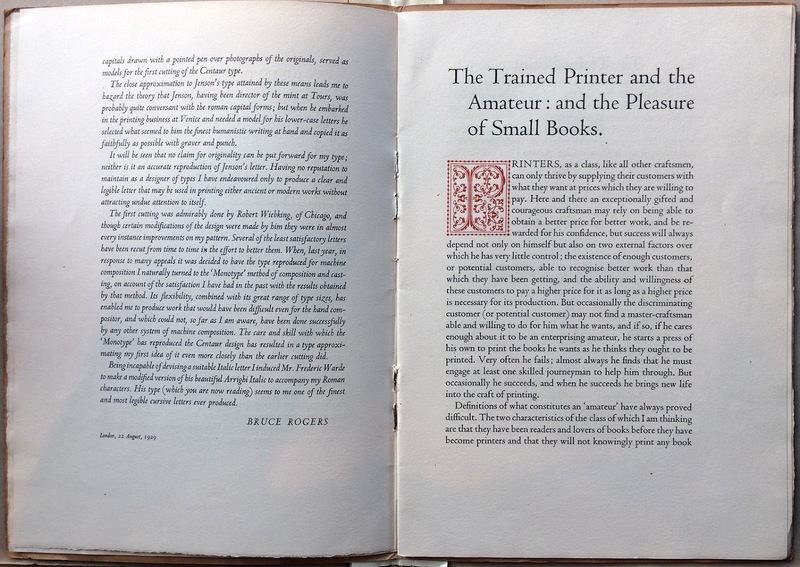 Beautifully printed on vellum; text clean, unmarked. 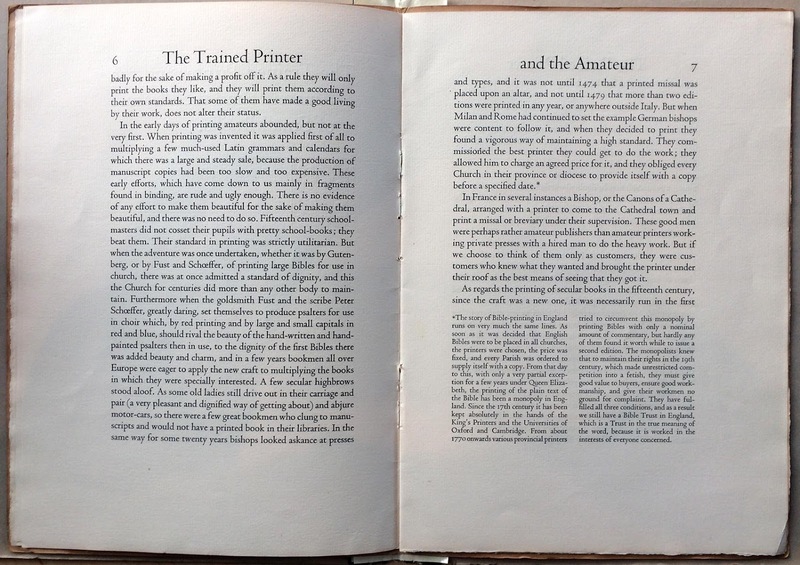 Bound in full gilt-stamped vellum; binding square and tight, light soiling and tanning to the covers, rear paste-down coming up on the fore-edge. With the bookplate of Carl I. Wheat on the front paste-down. Very Good. LIMITED EDITION, this is copy number 6 of 85 copies, being 1 of 10 printed on vellum. 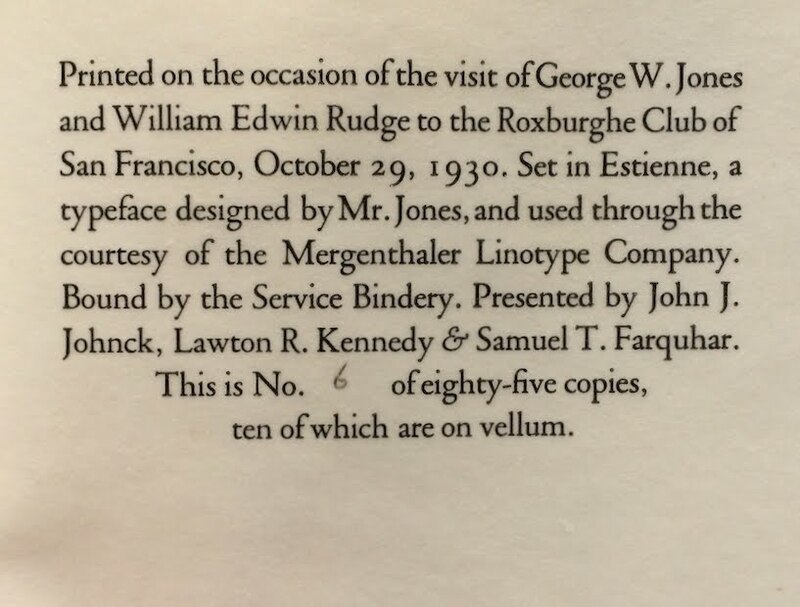 This volume was prepared as a keepsake for the October 29th 1930 dinner honoring William Edwin Rudge and George W. Jones held at the Fairmont Hotel. 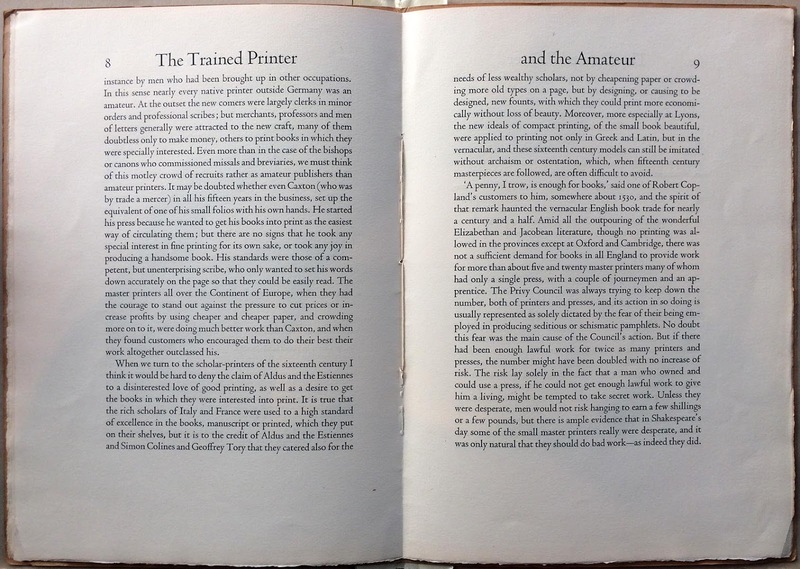 T. J. Cobden-Sanderson’s text regarding the elements that go into creating an ideal book was an inspiration to many American fine printers in the first half of the twentieth century. 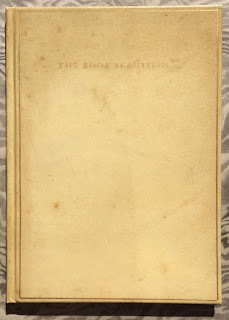 It received many treatments over the years, but few can rival this lovely setting printed on vellum. 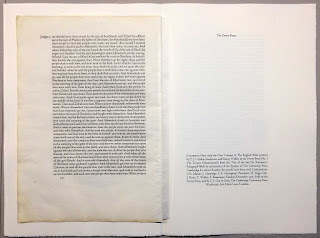 Samuel Farquhar’s copy, Number 1, on vellum, is at the Clark Library in Los Angeles. PROVENANCE: Carl Irving Wheat (1892-1966) was a California lawyer and historian and a historical cartographer of the American West. Wheat was a member of San Francisco’s Bohemian Club and participated in the resurrection of E Clampus Vitus. It was Henry R. Wagner who introduced Wheat to California history. 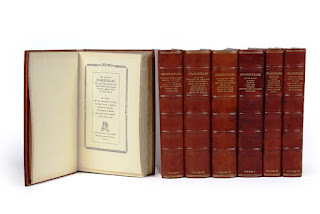 Wheat moved to Los Angeles in 1893; it was in Los Angeles that Wheat issued most of his work on California history and the cartography of the American West, including Mapping the Transmississippi West, 1540-1861, which appeared in 5 volumes between 1957 and 1963. 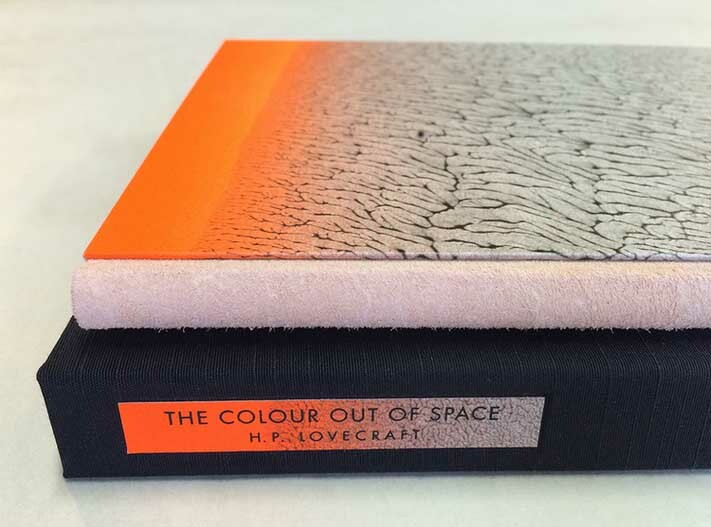 I stumbled across a recent (2016) publication of a HP Lovecraft short story, by an American press I wasn’t familiar with, Amy Borezo’s Shelter Bookworks. So many of the people who publish (and purchase) Lovecraft default to the lurid aesthetic of EC Comics circa 1955. Borezo demonstrates the writer offers the potential for more subtle and abstract interpretation. Based on her site’s description and images, this looks like a well-produced and engaging book. 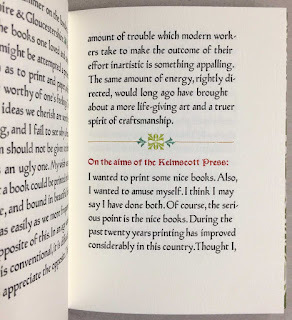 My only quibble is typographic: I don’t like the line spaces between paragraphs, especially for fiction. 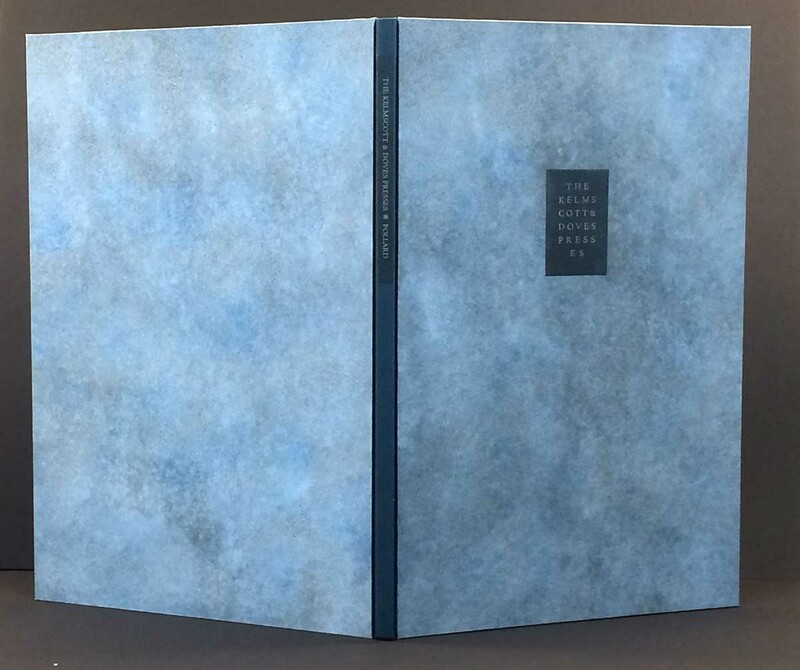 But overall the book, and especially its binding, looks lovely. This mention is, however, a bit of a tease, as no copies seem to be available. I think the issue price was $350, which seems like a bargain for this book. 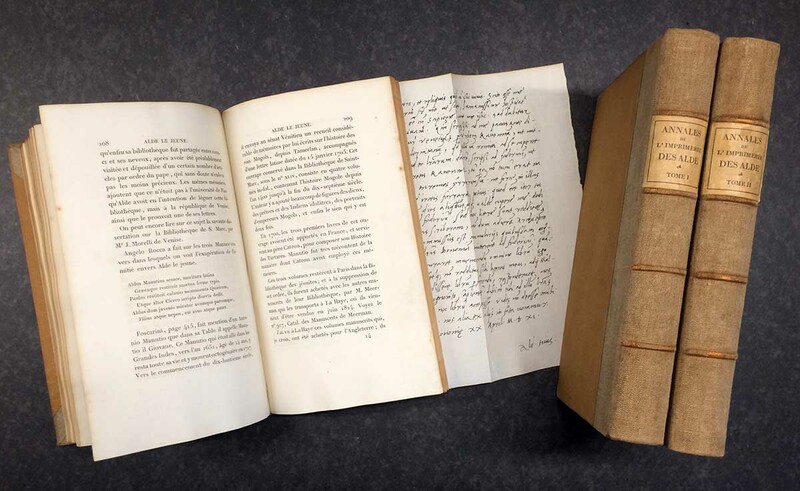 Lux Mentis had a copy listed at $500 as recently as a month ago, but it’s gone now. Keep your eyes peeled (but not in the lurid, EC sense).. This blog is updated at the start of each month.